Ingrid Pintgen was born in Rotterdam, the Netherlands, where she studied ballet and dance pedagogy and worked in theatres in both the Netherlands and Germany. Ingrid studied art αt the European Art Academy in Trier. She has travelled extensively in Holland, France, Germany and Greece and has worked for more than 30 years as an independent artist. Ingrid is α member of "Berufsνerband Bildende Künstler" (Artists' Professional Organisation) and has made more than 30 solo exhibitions of both ceramics and paintings. She also taught ceramics and painting for many years. For more than 30 years she visited Skopelos regularly and four years ago decided tο lίνε on the island permanently. She lives in α little house near Skopelos town. 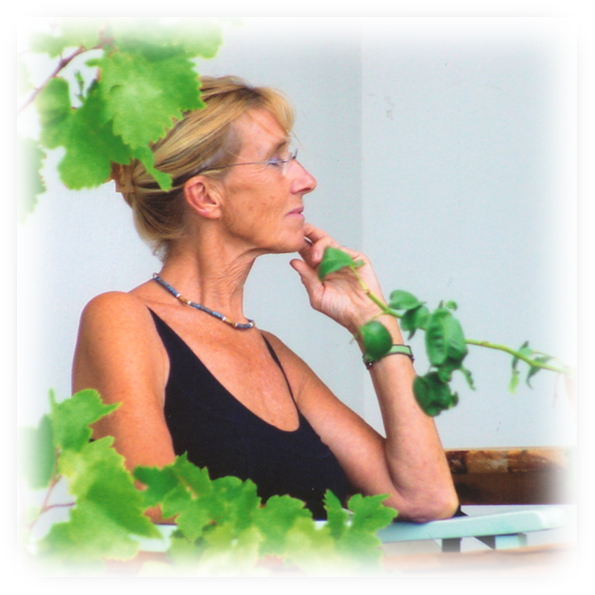 Since moving to Skopelos, Ingrid has created typically atmospheric landscape paintings in south-luminous and transparent colours, using α technique where layers of colours are superimposed. Here we show the paintings and ceramics which were on display in September 2010 in the Alonissos Museum.